The Japanese concept of ma was the focus of this presentation. In a pre-concert lecture, Columbia University professor emeritus Donald Keene expounded on the important but often elusive Japanese aesthetic concept of ma, frequently introduced in relation to time and space. Translating literally as “space,” ma has been described by Toru Takemitsu as the “powerful silence” in music. John Cage famously brought this concept to Western attention through works such as 4′ 33″ and One9. Excerpts of One9 were performed by Mayumi Miyata (sho), for whom this piece was originally written. 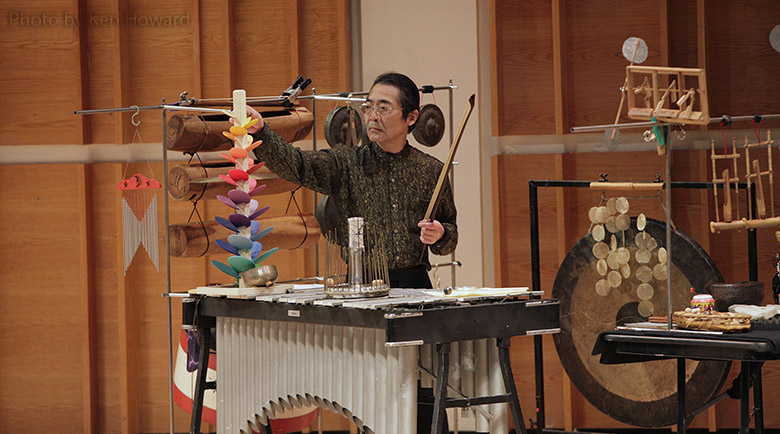 Likewise, Munari by Munari was written especially for percussionist Yasunori Yamaguchi, favored by Takemitsu for his singular timbre. These illustrious artists were joined by Hitomi Nakamura (hichiriki) and Takeshi Sasamoto (ryuteki). 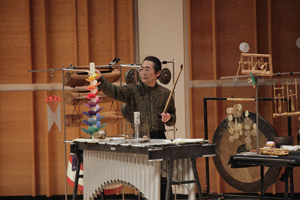 The contemporary repertoire, including a work by Hiroya Miura, was juxtaposed with music for winds from the gagaku tradition. The second program featured a selection of chamber works never before heard in the U.S. from four of Japan’s exciting contemporary composers: Tetsuji Emura, Toshio Nakagawa, Masakazu Natsuda, and Yumi Saiki. While frequently performed in Europe, these composers have received less exposure in the U.S. 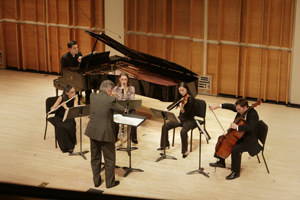 The program included three world premieres of Music From Japan commissions. 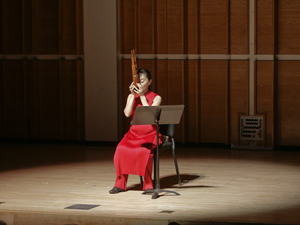 The Exploring Ma: Ancient Winds and Percussion program opened Music From Japan Festival 2008 in New York, NY. It then traveled to Birmingham, AL, Spartanburg, SC and Washington, DC. The gagaku artists then returned to New York for a three-day residency at Columbia University in early March.